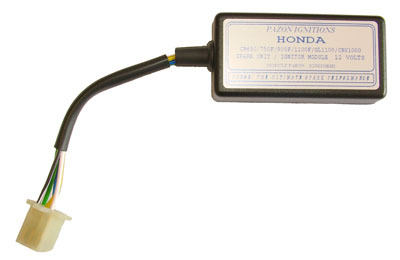 Suitable for Honda CB650/750F/900F/1100F/GL1100 four cylinder machines with the original factory electronic ignition. These units are replacements for the OKI MPS-200 Spark Units (or equivalent). 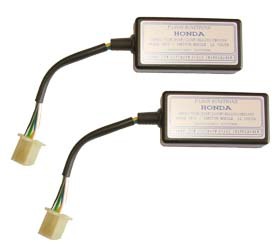 They are designed to work with the original pulse generators, mechanical advance and ignition coils. These units do not incorporate advance/retard. Units plug into original wiring harness. 2 spark units, fixings, tie-straps & full fitting instructions.